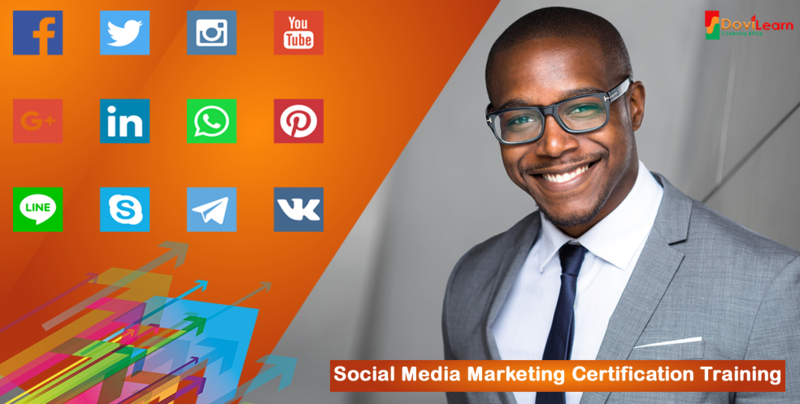 Our Social Media Certification Training is one of the most robust training on Social Media you can find on the web, it focus on Social Media marketing for organic growth. It covers all major social media channels to help you dominate the World of Social Media for your business or brand. Upon completing this training, you will learn all the various skills, strategies and techniques required for an effective Social Media organic growth campaign. This online training covers the various social media channels such as Facebook, Twitter, Instagram, LinkedIn, YouTube, among others. Dominate social media by building a following to increase engagement and sales. | taught by Matt B. This course is a Comprehensive Guide to Social Media Marketing Strategies. Are you ready to get more business leads using social media channels Facebook, Twitter, Pinterest, Instagram, LinkedIn, YouTube, Google+, and Live Streaming? If yes, then this course is for you. Instructed by one of the world most renowned Social Media guru - Matt B. The course contained everything you need to know to become a social media expert. The course videos contains over 10 hours plus hands-on training on Social Media Marketing. You'll learn how to drive sales, attract new customers through organic strategy and master social media (the right way). Section 1 of this course is open and accessible for free. You can login to take the first free section of this course for free to see what it looks like. What does this course give you? Introduction to social media marketing strategies before diving into specific platforms. Lastly, a DoviLearn Certificate of Training Completion downloadable after completing this course. Click on Enroll Now and the top right corner to gain instant access to this course at our highly discounted promo offer. See course online below. Seasoned Digital Marketing Consultant, Massachusetts graduate, with over 13 years practical experience. With a degree in Communication from the University of Massachusetts at Amherst, instructor Matt B. has been successfully selling on eBay since 2006 and training on digital marketing strategy and solution. Passionate about helping businesses build successful digital marketing strategy that works, he teaches classes online on Social Media, Digital Marketing and E-commerce.